In a rare treat for my parents, all five Simpsons were together in town this past weekend. 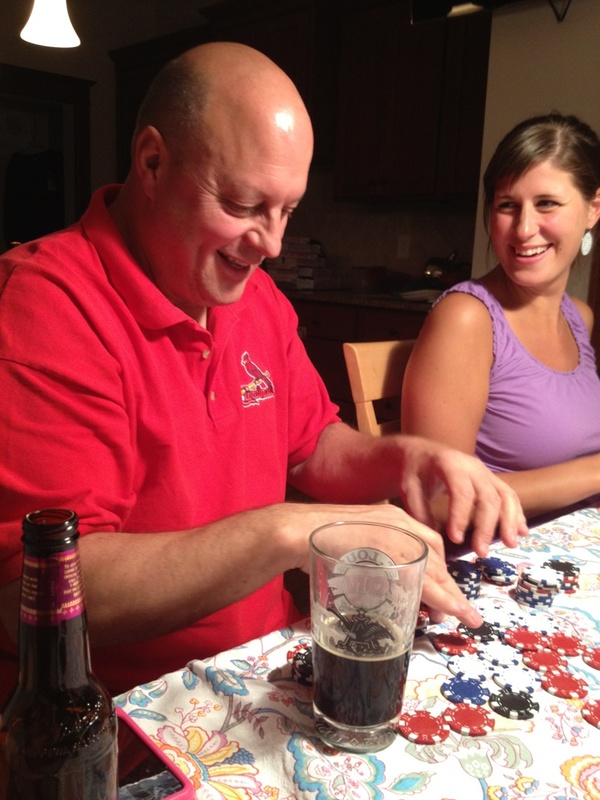 We took in a Cardinal game together, had a BBQ (prepared by others, though I had to step in a few times), and played a little poker. On my way over to the BBQ, I thought I would treat anyone interested in some special edition beer. 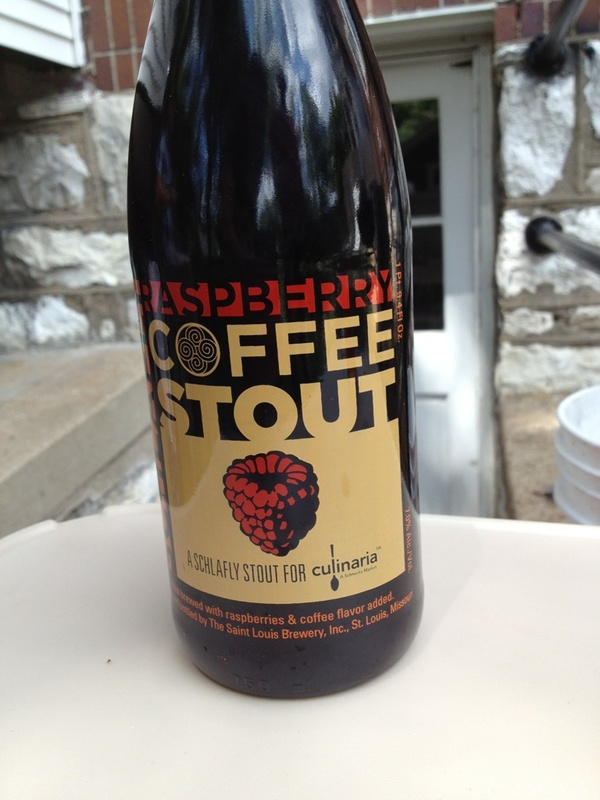 How about a couple big bottles of Schlafly Raspberry Coffee Stout? $9.50 a bottle is a lot to live up to. I’ve been waiting to buy this beer since I saw it announced on the Facebook website. Yes, I am an official fan. Surprisingly, my NYC police officer brother doesn’t like “fruity” beers (High Life fan), and the political cog / D.C. food blogger brother doesn’t like stouts (IPA fan). Jeez… are we really related? My father wanted nothing to do with it, either, once I told him my impression of the beer (see below). Only my unrelated-by-blood brother-in-law was interested. Thank goodness someone has taste in that house. Pro Tip: The guy at the Schlafly Bottleworks retail desk told me that some early reviews of the beer were that serving it cold knocked out much of the rich, stout flavor and left them with just raspberries. He suggested letting the beer sit out for a little while and get cool (as opposed to cold), near room temperature, before pouring. Yes, I know. Wrong glass. It’s all they had. When you want to pour a beer into a glass at the Simpson parents’ house, your options are usually relegated to a pint glass that may or may not have been legitimately-acquired. 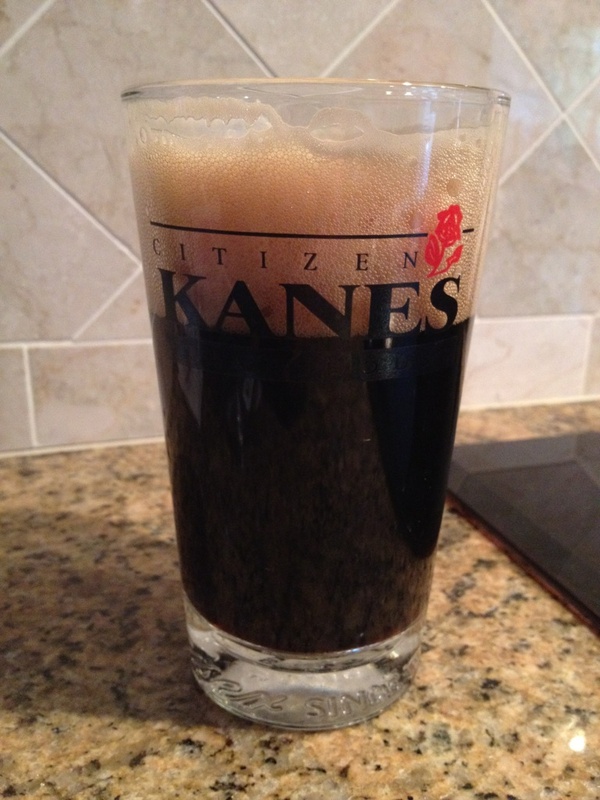 Citizen Kane’s, I apologize on their behalf in case this glass is merely being borrowed long term. I should apparently be using a snifter glass, but it was a pint glass or swigging straight from the bottle. I chose glassware. Right out of the bottle, I can tell you it smells amazing. Rich, chocolaty, malty. 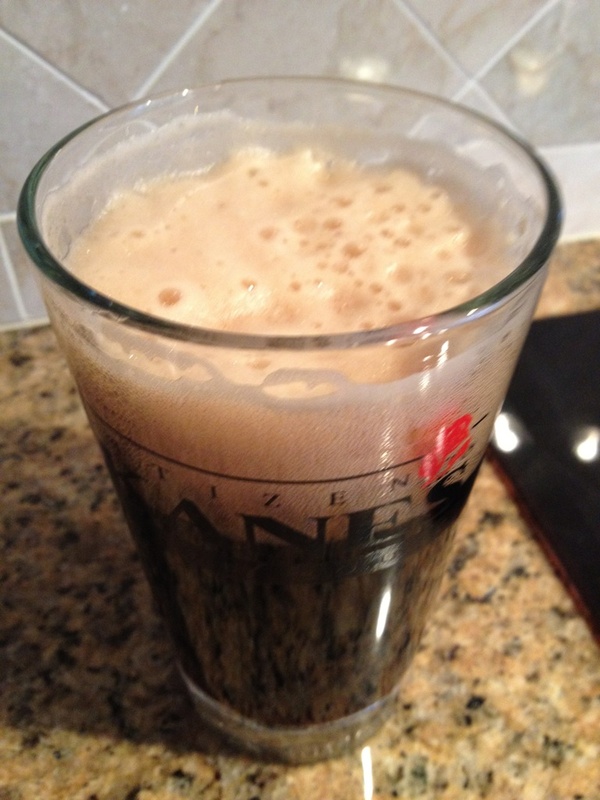 Since it had had warmed up a little bit, we got plenty of frothy head on the beer. Give that beer any more head and it will feel obliged to buy you dinner! The beer runs over your tongue very smoothly with minimal effervescence, and you definitely get a ton of hearty chocolate malt flavor, with only a hint of raspberry. Epilogue: Since my reverse-beer-snob family didn’t want any of this stuff, I took the second bottle home with me for later enjoyment. Enjoy it I will.